For many, winter is the season of holiday cheer, family traditions, and new adventures. 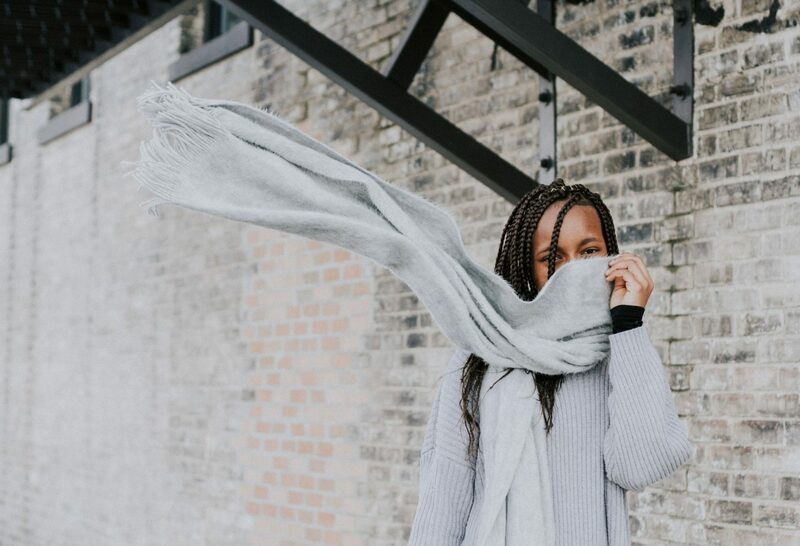 When the temperature drops, it can conjure up warm, fuzzy images of snuggling up by a warm fireplace, bundled up in cozy Wool jumpers accented by your favorite Wool scarf. However, when it comes to clothing that is both fashionable and functional, merino wool reigns supreme. Whether you plan to keep cozy as you peruse the powdery white surroundings in an upscale Colorado ski resort, go for a stroll in New York’s Central Park as the flurries fall on your nose, or simply want to look your best for your winter-themed get-togethers anywhere in the nation, invest in the best Australian Merino wool essentials to ensure you look and feel your best throughout the whole season. WHAT MAKES AUSTRALIAN MERINO WOOL SO SPECIAL? Merino wool is not simply something you can pick up at just any clothing supplier. This because it is a premium, natural product from specially-raised merino sheep in Australia. When you slip on your favorite wool jumpers or wool scarf, you should take notice of some key characteristics of this material that stands out. It’s naturally elastic, moisture-wicking, low-maintenance, extremely soft, insulating, and breathable. Gone are the days of snug, sweaty, itchy winter wear! While a wool scarf and wool jumpers aplenty may already currently line your closets, consider investing in a few key merino wool staples. While their sticker price might be higher than those made from synthetic or cheaper materials, the right pieces can be timeless additions that will last for years to come. For those looking to add their first merino wool piece to their wardrobe, consider a multitasking product like a shawl or a wrap. Not only do they feel great on but can be also be used in a variety of ways. It can be worn around the shoulders, poncho-style embellished with a brooch, and even used to keep your head and ears warm in a pinch in more extreme weather. Choose some practical neutrals for an understated, elegant look that pairs with virtually any outfit, or opt for bold hues to make a statement. A winter adventure can be easily cut short when you feel like your hands are on the verge of frostbite. When keeping your hands tucked in your pockets the entire time is not an option, merino wool gloves can be a fashionable accessory that can make cold-weather activities much easier to enjoy. With full coverage and even cut-off fingertip options, there are a variety of styles to fit your lifestyle. With the superior insulation that merino wool provides, you can keep your hands toasty without excessive bulkiness. Heat can through your head so it’s important to keep it warm, but few appreciate sweaty hair and itchy material against their face. Since merino wool is naturally elastic and breathable, you can look forward to a comfortable, warm fit that is breathable so skin stays dry. And since merino wool tends to be naturally-treated and minimally processed, it is hypoallergenic and ideal for sensitive skin. Wherever the winter break takes you this season, be prepared. With a closet chock full of some of the most coveted cold-weather essentials, you can focus on quality time with loved ones and exploring everything the US has to offer in style. Next Post galentine’s day. the edit.